Where: Cooked some chilli with my boyfriend (yum!) and went to a party with some friends. I am wearing one of my favorite shoes today!! I looove these plaid shoes I bought at Walmart (yes, Walmart). I decided to pair it with matching tights (red). Then I went with a retro look by adding lots of pearls, cat-eye make up, and red lipstick. I really like how it turned out! 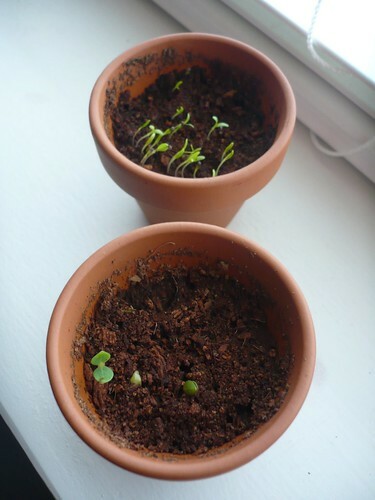 Oh, I almost forgot, the little plants I wrote about the other day are starting to show their first signs of life!! I am so excited to see them bloom! I second the love for the red tights! I have the gray version of those shoes and really like them too! I'm really diggin this outfit! black, white and red are definitely my favorite colour combination! Hey thanks for the comment ^_^ I love your blog you're super adorable, I'm adding you to my reader. this look is so classy ! you can rock tights better than anyone i know! 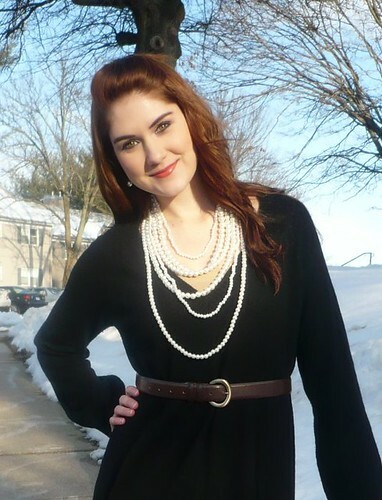 I love the pearls too!and the brown belt gives the outfit an unexpected twist which looks great ! Lovely outfit! The tights are perfect with this. I'm in lovelovelove with this outfit! 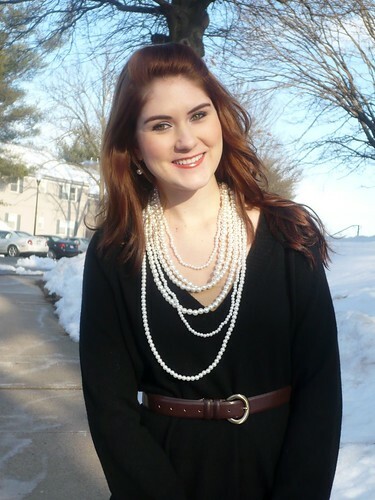 The black/white/red, the strands of pearls, it's all so classy-chic I can't stand it. :) The pearls remind me of Chanel, and if I haven't said it enough, your outfit is lovely. Pretty cool outfit and those red tights definitely send a message. It is not often that you wear black and you really look stunning with your reddish hair against the dress. It makes your eyes pop out. I like the overall effect of this outfit since the basic colors go well together. Loving those pearls. You look great in this creative look. The red tights jump out at you making an exciting combination with the black outfit. But what really tied it together for me were the shoes. As small as they are vs the entire outfit, its where my eyes finished with the lookover and left a nice comfortable finish to the entire outfit. Whenever I look back my focus is on the cute shoes which compliment the tights and is my focal point. jgm. 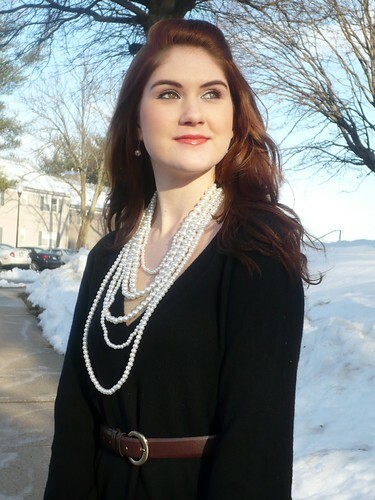 The black with the pearls is so sophisticated. I love the red tights with the plaid shoes. So fun! What can I get for a dollar? Sneak peek: Valentine's day goodies! 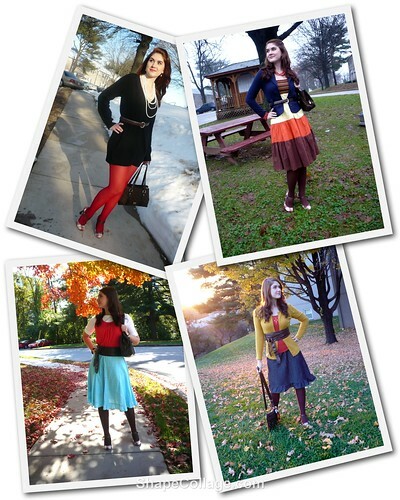 Featured on "Fashion my legs" !!! Introducing "14 days of love"